The US, Europe and the UN should blame themselves for forcing South Sudan to take over its own affairs when it wasn’t mature enough to do so, says Ayo Johnson, founder of ‘Viewpoint Africa’. 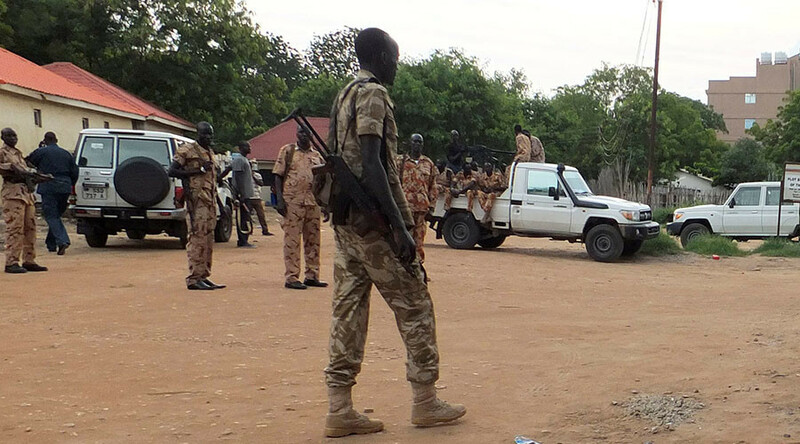 Almost 300 people have reportedly died in fighting between South Sudan's rival factions in the capital Juba as heavy gunfire erupted in parts of the city. 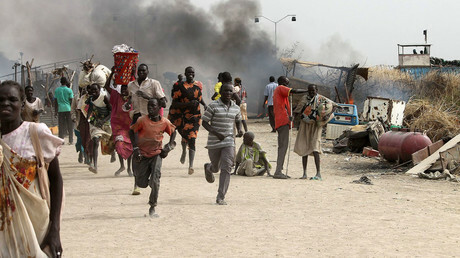 South Sudan, which gained independence from Sudan in 2011, is the world's youngest nation. However, a civil war that erupted in 2013 between fractions supporting President Salva Kiir and Vice President Riek Machar has already marred the history of the young nation. The breakdown in relations between the two sides can be blamed almost entirely on oil. Although South Sudan inherited 75 percent of Sudan's oil reserves, the third largest oil reserves in sub-Saharan Africa, most of the pipelines are under control of the north. According to Washington, America is the single largest aid donor to South Sudan. The country has received nearly $1.6 billion in contributions since 2013. RT: Why do you think the heavy fighting has broken out again in Juba on the eve of the country's fifth independence anniversary? Ayo Johnson: If you remember when South Sudan was created as a new country and held as a beacon of success back in 2011, both the US and European allies alike were saying this was the best thing for the country. And you must be mindful that it was coming from the back end of a 20-year war, a civil war with its neighbor Northern Sudan. 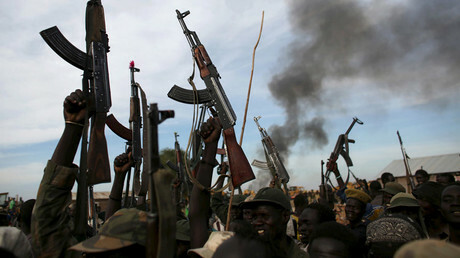 So, they thought that this was the best way to secure peace finally with South Sudan becoming a new nation. But the problems that quickly unraveled were the differences between Salva Kiir and Riek Machar, and the troubles that we’ve seen thus far stem straightly from that discord between those two leaders. To an extent, the US would be slightly disappointed that what they thought was a huge experiment, a risk, nonetheless, a country clearly not ready for the level of democracy that they thought could be imposed on that country. But clearly, the challenges of poverty, inequality was paramount because there wasn’t a clear plan as to how the land would be shared, but also how the control of oil wealth would be governed between the two leaders, these differences unraveled pretty quickly. RT: What is the key reason for this outbreak of violence in South Sudan? RT: Do you think the US and China’s conflicting interests have influenced the situation in the country? Andrew K.P.Leung, international and independent China Strategist based in Hong Kong commented on the issue: “China’s engagement with Africa is not just based on resources. China’s model is very unique in the sense that all investments and engagements are coordinated by the Chinese state. Hence China is able to offer – in addition to investments in oil and resources – programs to build infrastructure, schools, hospitals, railways, highways, which are necessities for Africa’s economic trajectory."